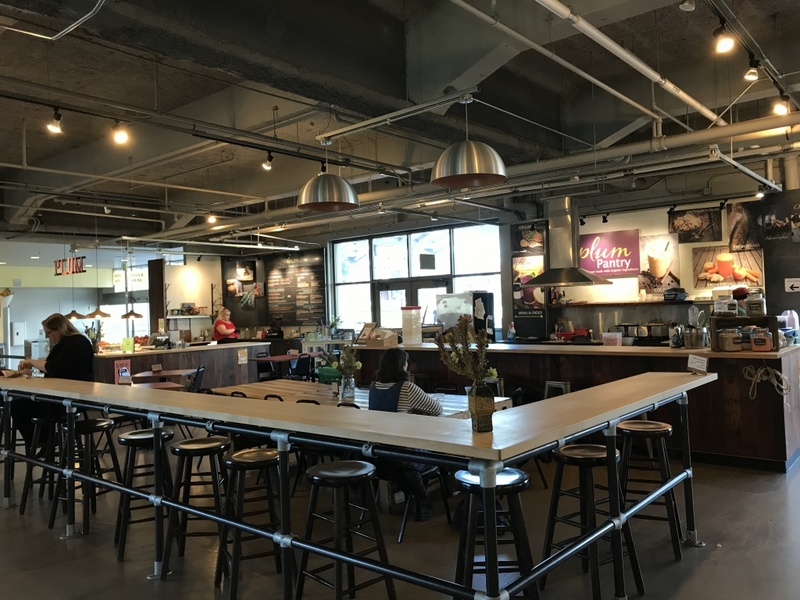 Need a quick bite to eat at the Seattle Center? Check out Plum Pantry, an outpost of Makini Howell’s mini vegan empire, for delicious plant-based fare. 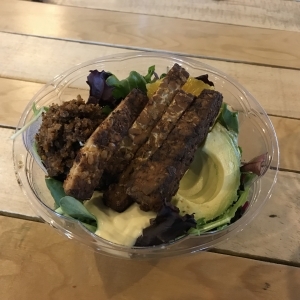 Sandwiches, bowls, and salads are complemented by fresh pressed juices, smoothies, and even shakes! Once upon a time, long before “vegan” became commonplace (aka the 1970s! ), Makini Howell’s parents embraced veganism, and they haven’t wavered since. “They began to think about what they were eating – what it does to your body and the earth – and it just made sense,” she shared matter of factly. Consequently, Makini grew up living the benefits of a plant-based diet. After time working in one of her family’s vegan diners, and some time out-of-state, she eventually returned to Seattle and founded her first plant-based restaurant, Plum Bistro, in 2009. Recognized today as a vegan trailblazer, Makini explains that a key factor contributing to the continued growth and success of the Plum Restaurant group is her mentality as a proud member of Generation X. “There was never an option to not be successful,” she remarks. She also points to the more recent and rapid shift of public opinion regarding veganism, what she calls, “the craze.” Makini is committed to ensuring her restaurants long outlive this craze by continuing to focus her energies on maintaining the high quality of her vegan fare. The quest for the perfect vegan sandwich began way back in the Howell family. When Makini’s mother, Niombi Howell, first became vegan, it was difficult for her to give up egg sandwiches, so she created a wholesale sandwich company to find a fix for her craving.